This home is designed for the creative person on the go. 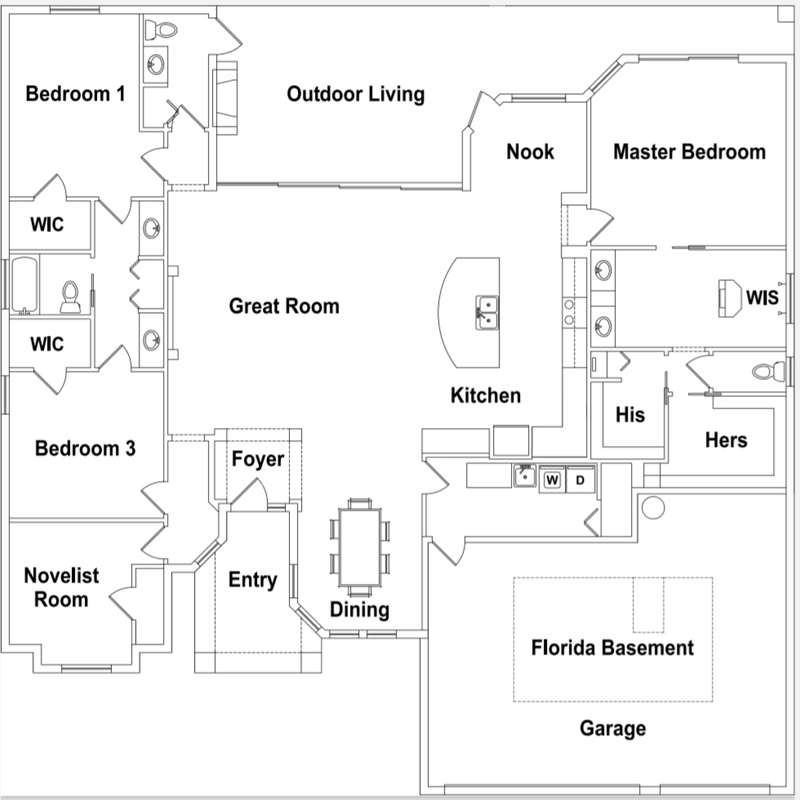 The Key West model features our very own “Novelist Room with a beautiful window view of the world. This home is designed to nurture your creative talents waiting to be unleashed. Our full deck Great Room takes you from the Foyer into the Island Kitchen, the Nook and the formal Dining Room while featuring a full wall glass door view of the outdoor living Lanai and Fireplace. Overall this four (4) bedroom, two and a half (2.5) bathroom house which includes a Jack and Jill bath for the bedrooms is a stately mini tropical estate home at 2,583 square feet of living space. With the Outdoor Living Room, the three (3) car garage, Entry, and Foyer the home has 3,810 total square feet. Our KEY WEST also comes with a Florida Basement giving this home extra space galore. The KEY WEST pairs well with our Paraiso Pool. Come let us build you your very own Florida Key Lifestyle Home for a Modern World. The Key West Elite Features Package includes the following upgrades in addition to the Key West Classic Features Package. IMAGINE LIVING IN THE KEY WEST ELITE & HAVE A LOOK AROUND VIA THE 360 DEGREE TOUR BELOW.